Many people associate museums with ancient artefacts or at least replicas. But working behind the scenes, it’s clear to see that things aren’t at all old fashioned. Most museums use the latest technology to help them to store, organise and protect valuable assets. In addition to the countless collectable items in your museum’s possession, you likely have thousands of important digital files. From videos of events and exhibits to photograph collections, safe and secure storage is paramount. Read on as we explore why digital asset management is essential for museums. Why should museums be using DAM? 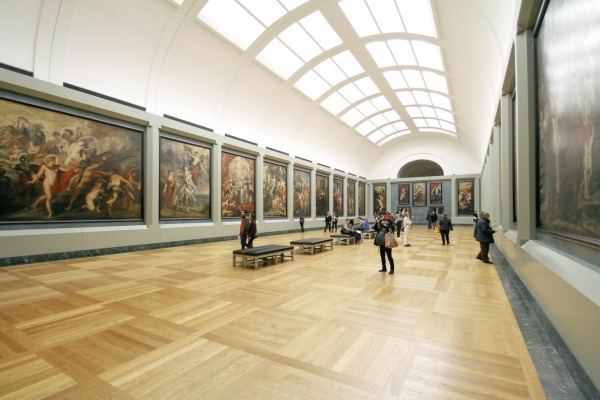 The most popular choice for museums looking for a secure way to store their files is a digital asset management (DAM) system. DAM solutions offer a central repository to store, organise and share digital files. The easy to use systems allow users to upload, catalogue, edit and share assets at just the click of a button. Using iBase’s solution, access for individual users can be set to enable view, upload, edit, download and sharing permissions. View and edit permissions operate right down to metadata field level, and access to admin, audit and other management features can be provided as required. Generally, when your staff store photos and videos, they need to feel assured that they will be protected. A good DAM system will have the capability to store thousands of large digital assets securely, for complete peace of mind. Make sure that all files are stored and organised correctly with the abundant use of metadata and labels. This makes it much easier to find and use your assets. Online users and visitors will also be able to view specific exhibits or collections with ease. Taking photographs of each individual item in a collection enables you to share the files globally, and make exhibits accessible to visitors, students, academics and many others, across the world. The ability to share files and grant user access to the system allows your museum to collaborate with external individuals and companies easily. Event co-ordinators, curators and specialists are amongst those that you may want to work with. By granting access to the admin team, you can track who is accessing files, what is being accessed and where from. This makes it simpler when conducting audits of the museum’s productivity. Museums are among the many institutions that could benefit hugely from a digital asset management system. With thousands of physical assets and even more digital ones, museums need somewhere safe and secure to keep track of their files. At iBase, we have years of experience helping museums archive and organise their files. We offer safe, flexible and competitive DAM solutions, hosted by the Amazon AWS cloud service. We also offer support to keep you moving at all times. You can ease your mind knowing that your files are secure and protected. iBase’s team of DAM specialists are on hand to answer any questions you may have. Contact us today with any of your enquiries. Give us a call on +44 1943 603636 or submit a query via our Contact Us form. Online DAM training - do you need it? Is digital asset management suitable for commercial video libraries?